These computer-generated works were specifically created for this website and exist in no other form. The reality of these works is that I created them just for fun and they are just for fun. 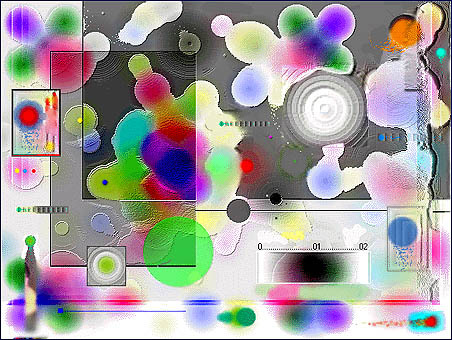 Scale in "Nautical Light Moments"
The images from which these works are derived, were created for my 1990 video presentation "10 Episodes For Sonic Discipline" Video loops formed the basic images which were then modified with DVE and ADO in video post-production process. Final manipulation occurred in the photo-computer realm.